After a week away to take care of unexpected life happenings, the memo is back! 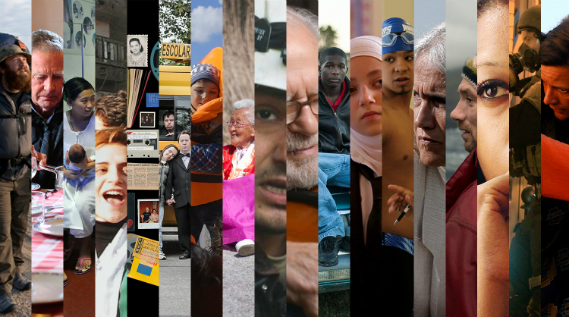 First up PBS’s announcement of the lineup for the 30th season of POV, featuring the likes of CAMERAPERSON, DO NOT RESIST, Oscar nominated shorts JOE’S VIOLIN and 4.1 MILES and more. The series begins on June 26th with Julia Meltzer’s DALYA’S OTHER COUNTRY. Curators looking to host a screening of any of the films can now book a handful of the films via the POV Lending Library. Tomorrow at the IFC Center, our Spring Season will kick off with Bill Jersey’s 1967 landmark of the cinéma vérité movement, A TIME FOR BURNING. Director Jersey will be on hand for live Q&A. Tickets for the event and spring season passes are still available here. Looking back to last week, the Full Frame Documentary Film Festival concluded its 20th edition by awarding Jonathan Olshefski’s QUEST with its Grand Jury Prize, David Barba and James Pellerito’s ANATOMY OF A MALE BALLET DANCER with its Audience Award, and Yance Ford’s STRONG ISLAND for both the Emerging Artist Award and Center For Documentary Studies Filmmaker Award. Realscreen also unveiled its shortlist for the 2017 Reascreen Awards, “which recognize the best in unscripted and non-fiction programming from around the world, will be presented during a ceremony held at the Fairmont Miramar in Santa Monica, California, on June 7, in conjunction with the upcoming Realscreen West conference, which takes place June 6-8.” Meanwhile, the San Francisco International Film Festival is in mid-swing, with IndieWire’s Eric Kohn lovingly covering THE CAGE FIGHTER and David Ehrlich warmly reviewing LEANING INTO THE WIND. Showing exclusively on Investigative Discovery, the premiere episode of the Joe Berlinger directed series KILLING RICHARD GLOSSIP is now live. Berlinger spoke briefly with Selina Chignall of Realscreen about the project, and at length with Joe Berkowitz of Fast Company. While they discussed the importance of documentary activism in the age of alternative facts, The Washington Post’s Shawn Boburg and Robert O’Harrow Jr. critically reported on “How Steve Bannon’s documentary machine made millions and fired Donald Trump to the White House” – a must read. Following its TIFF premiere and a stint over at IDFA, John Scheinfeld’s CHASING TRANE: THE JOHN COLTRANE DOCUMENTARY has finally arrived in US theaters, gleaning positive reviews from Ben Kenigsberg in The New York Times, Variety’s Owen Gleiberman and Glenn Kenny at RogerEbert.com upon its arrival. At Observer, John Kruth wrote an extensive feature on the film, while Shenequa Golding spoke with director John Scheinfeld about the making of the film for Vibe. The Los Angeles Times published a handful of worthwhile pieces on docs this week, the first of which is from the rag’s architecture critic, Christopher Hawthorne‘s decidedly negative take on Matt Tyrnauer’s CITIZEN JANE: BATTLE FOR THE CITY. Robin Abcarian‘s take on Amir Bar-Lev’s remarkable Grateful Dead doc LONG STRANGE TRIP is worth a read. She’s not off-base when she writes that she “can’t imagine that anyone will walk away from LONG STRANGE TRIP…without a newfound appreciation for the band’s music and its place in American popular culture.” Gary Goldstein also had a brief piece on Jon Nguyen, Rick Barnes and Olivia Neergaard-Holm’s DAVID LYNCH – THE ART LIFE, which compliments Andrew Karpan‘s more extensive take at Nonfics quite nicely. Other theatrical releases that got some love week included ALL THESE SLEEPLESS NIGHTS, which saw LOST IN LA MANCHA director Louis Pepe composing a defense of the film at The Talkhouse, as well as an interview with director Michal Marczak turning up at Hammer To Nail via Christopher Llewellyn Reed. Tyler Hubby, the filmmaker behind TONY CONRAD: COMPLETELY IN THE PRESENT, turned up in conversation with Yusef Sayed at MUBI’s Notebook following its premiere on the streaming service this past week. Field of Vision Season 4 has begun its roll out, starting with a pair of new shorts: Alex Kliment, Dana O’Keefe and Mike Tucker’s CLOWNS, and Adrian Chen and Ciaran Cassidy’s THE MODERATORS, which just had its debut at SXSW. And while on the topic of streaming, I should point out Christopher Campbell‘s updated Top 100 docs to catch on Amazon Prime during April at Nonfics and POV‘s list of 8 documentaries that are newly available to stream at their homepage.